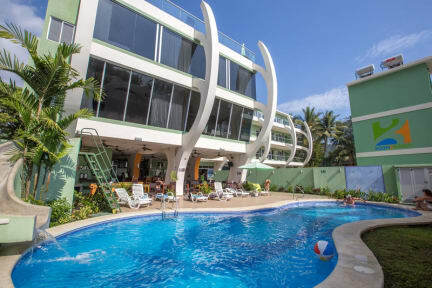 Room2Board Hostel and Surf School kohteessa Jaco, Costa Rica: Varaa nyt! Great hostel for surfing and enjoying Jaco! Felt like staying in a hotel with an atmosphere of a hostel. Staff was always very helpful and friendly. I took two surfing lessons, both good value for money. Could have stayed longer in this hostel, strong recommendation!